You may ask yourself, what does Yoga have to do with the Environment and being green? 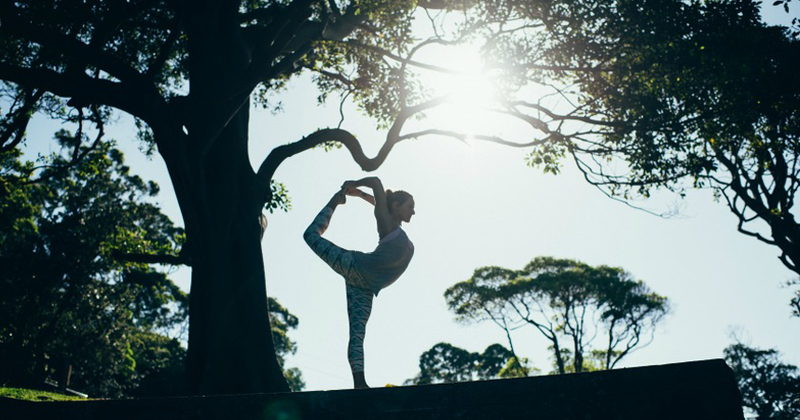 So you see every time you strike a pose on your mat, you are making your body stronger for the purpose of being in harmony with nature. Pretty cool. Have you ever stopped to wonder why the poses are named after animals and plants, this is pretty much why. But lets face it most days we all come to yoga to get on our mats and forget the world. But over time I have come to realise it is more than that, there is no boundary between my mat and the world. In fact that’s my strongest memory of my first ever class at Power Living Neutral Bay – after 12 years of asana practice Truth finished the class by saying I hope you can take your practice off the mat. And there it began. Moderation attracts abundance – just buy what you need and need what you buy. Don’t sweat it, Keenan’s top tip for this is to simply let go of one thing every time you want a new toy, that way it gets recycled and helps someone with less to boot. Think global buy local – I could go into a statistical quagmire here but it can be proven that buying locally sourced, ethical and organic produce and products where possible is the best way to “freeze” your impact footprint. Top tip to start – Simply cutting out fast food really helps and its pretty easy. PPP rule – no to Plastic bags, become a Pedestrian and often as you can and Plant trees for fun. Take a look at where your super is invested – you are probably funding a whole lot of stuff you don’t agree with, its your money, at least know where it goes, investing positively really makes a difference. Remember we all share one green heart and awareness is the first step. If you set your intention to take your green yoga off the mat, you will, and that’s what makes the difference. So what do Power Living studios do to take their Green Yoga off the mat? The answer is lots. All the products we sell come from companies that support conscious consumption – which means they are either made from recycled/natural materials or they come from companies that actively give back to charities or donate to countries that need our support. At the end of their life cycle our mats are either recycled or donated and we use only natural cleaning products throughout all our studios. Even the toilet paper has a ‘story’ – bought from Who Gives a Crap – 50% of the profits are donated to WaterAid. Also we recently published an i-books version of Modern Yoga and we actively support organisations like Earth Hour. In fact here’s a gift for you, Duncan has made a free one hour class for Earth Hour available online, so next time you need to practice your green yoga and can’t make it to the studio here‘s a class for you – the earth smiles in flowers. Off the mat Lisa’s day job is in Environmental Finance and Community Investment and she’s an ambassador for Earth Hour and Al Gore’s Climate Reality Project. Lisa’s love is working out ways to tie Yoga to our indigenous culture and the environment. She truly believes the colour of our Namaste heart is green, as is the indigenous soul of our country. Somehow it all ties together through oneness that is Namaste, so she is always finding ways to bring that to the world, on and off the mat. She has been practicing yoga for 14 years. What started as an accidental excuse for a holiday at an Iyenga Yoga retreat in Bali turned into a life-long love and stress release from her day job trading shares. Lisa is all about the Yoga love, bring it, oh and FUN.